location, proximity to venues, tram and subway, easy access from airport. spacious and comfortable apartment. 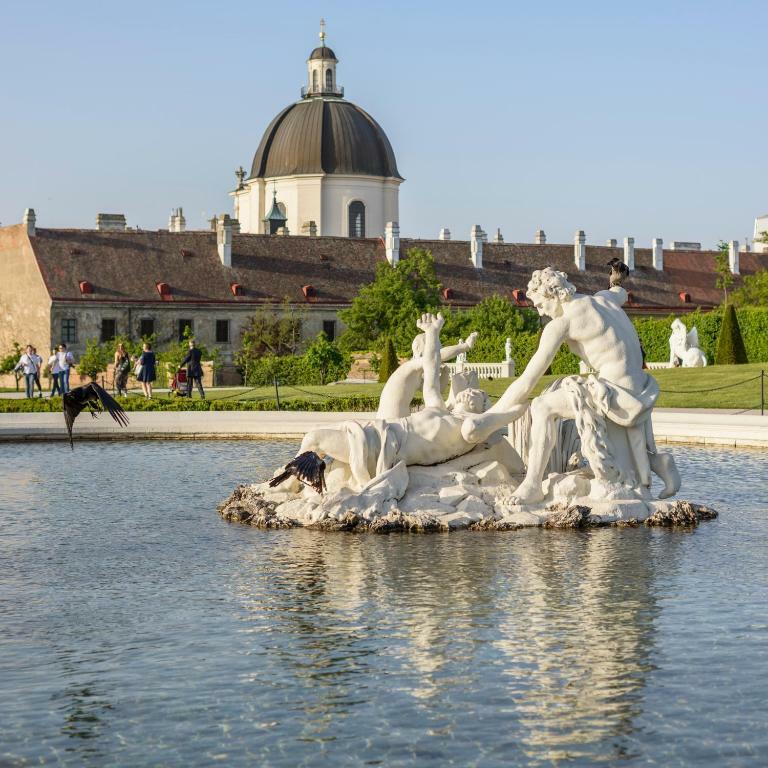 The location was superb next to Belvedere and just 15 minutes walk to the Opera and historic town. Very spacious and light and airy. Great restaurant nearby Santa Lucia one block left of the building it had great choice of Italian and Indian dishes very reasonable prices. Would stay again . A roomy, well appointed apartment. The comfort of the beds was outstanding - like sleeping on clouds. Nice big television and very comfy couch. Also having a coffee machine was a bonus. the apartment i stay is newly renovationed. so still has smell. we need to leave the window open a little to breath. Perfect location, beautiful apartment with all the accessories and equipment needed, nice host who made our stay comfortable. Perfect for more ppl. The situation was very good, shops nearby and also the public transportation. Kitchen was very good, tableware were enough for four persons for one day. Todo el apartamento está genial y muy limpio, la chica que nos recibió nos dio un trato increíble. Отличные апартаменты (бронировали с двумя спальнями) в районе нижнего бельведера. Метро Stadtpark в 5 минутах, до Карлсплац пешком минут 10. Рядом Билла и Спар. Пивнушки и пиццерии и проч тоже всё в шаговой доступности. Надзвичайно близько до Старого міста. Поруч Бельведер. Супермаркет на одній вулиці і поруч. 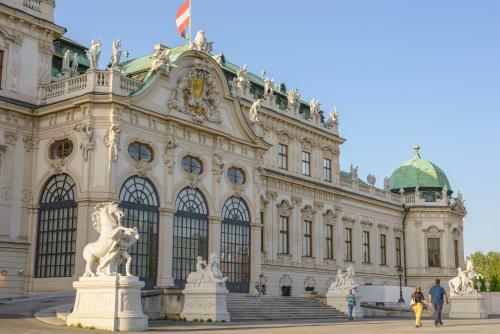 Lock in a great price for Belvedere Suite by welcome2vienna – rated 8.8 by recent guests! 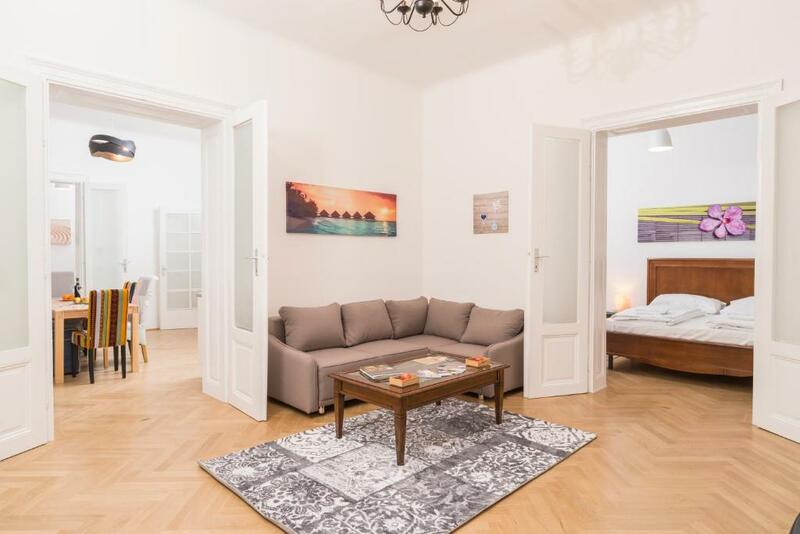 One of our top picks in Vienna.Located within a 12-minute walk of Karlskirche and 0.7 miles of Musikverein in Vienna, Belvedere Suite by welcome2vienna has accommodations with free WiFi and a kitchen. Offering city views, all units come with a coffee machine, a flat-screen TV, ironing facilities and a living room. A dishwasher and electric tea pot are also provided. 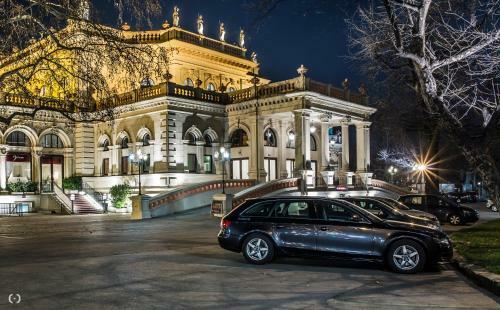 House of Music is a 14-minute walk from the apartment, while Vienna State Opera is 0.9 miles away. Schwechat Airport is 11 miles from the property. When would you like to stay at Belvedere Suite by welcome2vienna? This apartment has a electric kettle, soundproofing and dining area. 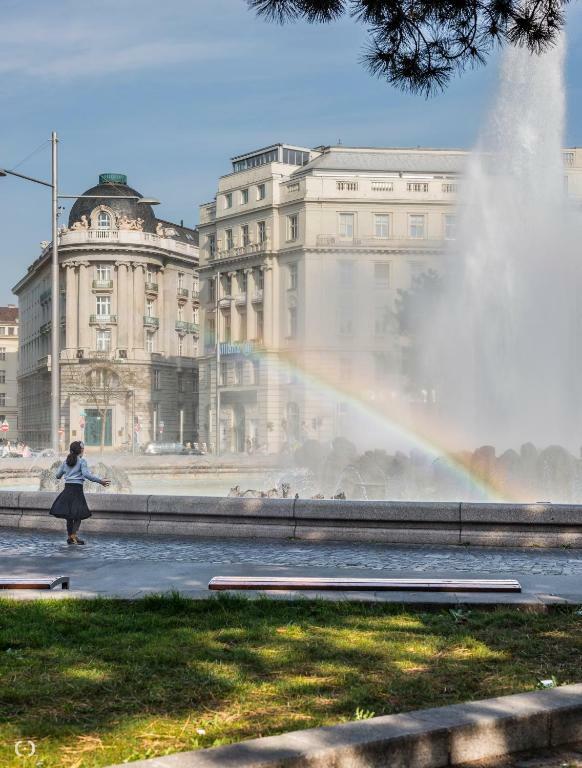 In the immediate vicinity of Belvedere Palace, a bright and modern furnished apartment awaits in its beauty to bring the pulse of the city closer to you. On a 80 squared meters space, the apartment offers two bedrooms and a sofa bed in the living room offer luxurious sleeping arrangements for up to six people. A luxury bathroom with shower and a comfortable bath offer relaxation after a busy day of exploring the city. The apartment offers self-catering option with a full basic kitchen amenities, enables guests to prepare their own meal before and after a day of exploring the city. Wifi is available and provided for free through out the apartment. Airport shuttle can be arranged upon request. 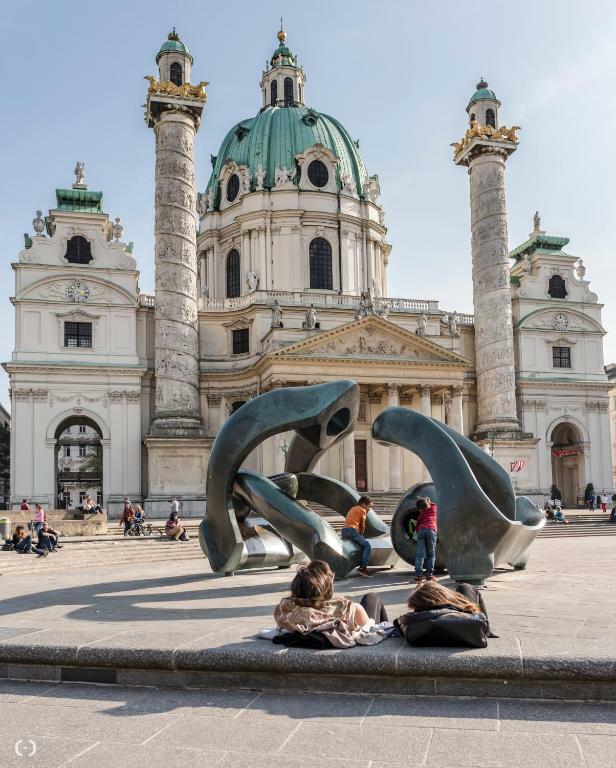 The apartment is located in Salesianergasse, only 5 minutes walking distance from the magnificent Belvedere Palace and 6 minutes walking distance from Vienna Concert House. The apartment is strategically located between two metro stations, Stadtpark (line U4), Karlsplatz (lines U4, U2 and U1) and Wien Renweg train station (S-bahn). 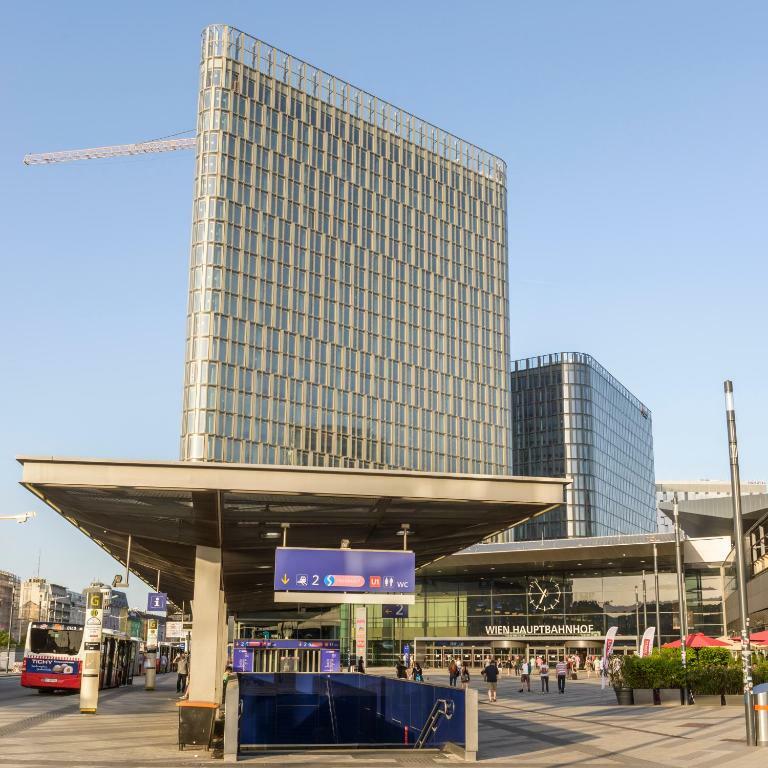 You will find numerous supermarkets, bakeries and pharmacies on the nearby Rennweg! House Rules Belvedere Suite by welcome2vienna takes special requests – add in the next step! Belvedere Suite by welcome2vienna accepts these cards and reserves the right to temporarily hold an amount prior to arrival. Please inform Belvedere Suite by welcome2vienna of your expected arrival time in advance. You can use the Special Requests box when booking, or contact the property directly using the contact details in your confirmation. the heater had a terrible noise at night and although we raised this with the host, nothing was done. so was a bad sleep the first night. the second night we got a bit used to the noise. so if you go, make sure it is fixed! also, they requested an additional 30 Euros for an early check-in at 10-11 am which seems to be out of the ordinary. We were given a very spacious apt on a fourth floor without lift or elevator. In the booking it didn't specify the number of the apt. Ours was number 7. Needed to wait for nearly an hour to receive keys - a better system could be devised than having someone personally hand them over. Was excellent to have a washing machine but would be handy to provide a little washing powder for travellers. Just renovated appartment and was lacking the curtains from the kitchen. More lamps to living room. During the summer an air-conditioner would be nice, Because of the noise from traffic the windows cannot be kept open during the night.